Betty and Root Beer Guy are two episodes from season 5 that I picked out as my favorites so I'm happy to see them here. "Betty" focuses on the Ice King as Simon, before he was the Ice King, and "Root Beer Guy" is about a guy bored with his job who sees Princess Bubblegum being kidnapped by Finn & Jake and tries to get help, but nobody believes him, not even his wife. So he takes matters into his own hands. One of my favorite episodes of season 3 is an episode called "No One Can Hear You" and it's actually the only season 3 episode that was included in this complication. This episode finds Finn getting his legs broken and being knocked unconscious, awakening to an eerily empty Candy Kingdom. The only one around is a strange action Jake who explains that everyone is hiding to throw him a surprise party for his birthday. This episode has a much different tone than normal. And how can I not mention the episode which gave this compilation its name, The Enchiridion from season 1. This is one of the early season 1 episodes where Finn and Jake go off on a hero's adventure. Being an early episode it has a slightly different feel to it in terms of both animation and humor than we're used to. It's a great episode which encapsulates the original vision of the show, an adventure with action, humor, and of course weirdness. This is a nice collection of episodes, all of which are entertaining. 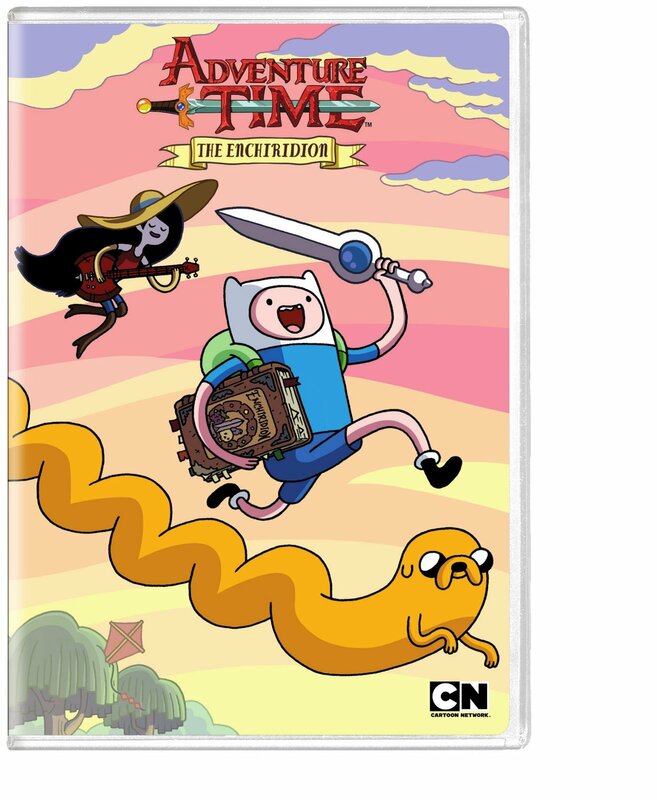 I'd personally recommend getting the full season releases since there are very few poor episodes, but for those who only want a handful of Adventure Time DVDs these compilation releases will give you some of the best episodes. As for extras... nope, nothing. Just episodes.